The exhibition called At the Beginning of Modern Art: From Barbison School to Classic Avantgarde. 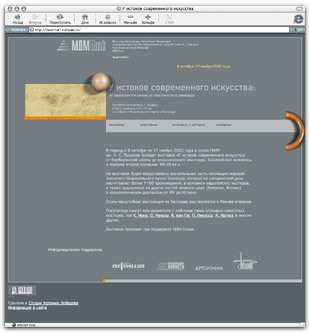 European Art and Graphics in the second half of the 19–20th century to take place in the Pushkin Museum of Fine Art October 8 – November 17, 2002. Visitors to the site are offered to take a different look at the evolution of European art.